The Texas Rangers Blog - TTRB: Check it out, TTRB is a member of the Baseball Bloggers Alliance! 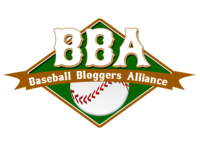 Check it out, TTRB is a member of the Baseball Bloggers Alliance! The good folks at the Baseball Bloggers Alliance have allowed little ole TTRB to join their ranks. It's got to be official, they sent me a logo and everything that I put up here on the left side of TTRB. And click here and you'll see TTRB listed as one of the blogs for your Texas Rangers. I think it's pretty cool. Thanks to the Baseball Bloggers Alliance letting us join their group. Congratulations, my man!! Well deserved. Watching Basketball and Baseball - split screen. Florida's baseball team might score more runs than its basketball team tonight.